High stress and sleepless nights are common among parents with diabetic children, but a new research program focused on a pediatric artificial pancreas could make that a thing of the past. 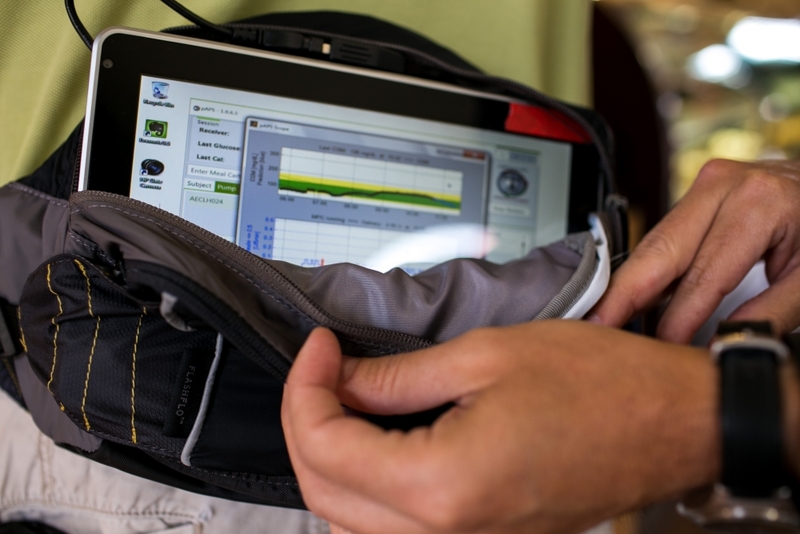 Using experience gained in the development of an adult artificial pancreas, a team from the University of California, Santa Barbara (UCSB) plans to address the more challenging treatment of type 1 diabetes in children by developing a new, more complex device. Managing type 1 diabetes requires a significant amount of attention, 24 hours a day. Food intake, blood glucose levels, and physical activity must be monitored to ensure that proper levels of insulin are administered at the right time. It can be difficult for adult patients to manage the disease, but for pediatric patients the challenge parental caregivers face increases dramatically. Children often have unusual food preferences and eat at unpredictable times, without understanding the effects a cookie or sugary treat may have. In addition, spontaneous play can lead to unpredictable effects on blood glucose levels. Maintaining proper glucose levels overnight, as hypoglycemia can lead to a coma or even death. To combat this, parents often interrupt the child's sleep to test their blood sugar. To assist in the management of diabetes under these challenging conditions, the UCSB researchers are developing a pediatric artificial pancreas, according to a recent story from the UC Santa Barbara Current. The effort is being funded by a $1.8 million, three-year grant from the National Institutes of Health (NIH). The team’s goal is to develop the device over the next decade. The researchers are familiar with the artificial pancreas (AP) concept, having previous developed one for adult diabetes, according to the UC Santa Barbara Current story. The pediatric device will have to be much more versatile, however, with algorithms and hardware that can deal with the additional factors that exist for children. One of the key differences with children is that insulin must be administered after a meal because they are more sensitive to its effects, while adults often take it beforehand. This can lead to overcompensation, giving too much insulin, which can cause hypoglycemia. To overcome these differences, the first phase of the project involves collecting data on pediatric patients with the goal of updating the algorithms in the AP. Using alerts and adjustments to insulin, the pediatric AP could be designed to handle unannounced meals and physical activity, something the adult version has been successful at dealing with. After developing these new algorithms, the team plans to test the device in the clinical environment, though the overall goal is for it to be a standalone solution that can be used at home. Artificial pancreas technology is being developed on many fronts, with new designs under investigation at the clinical level.